His ability as a performer has received phenomenal praise, which has resulted in sell-out shows worldwide. 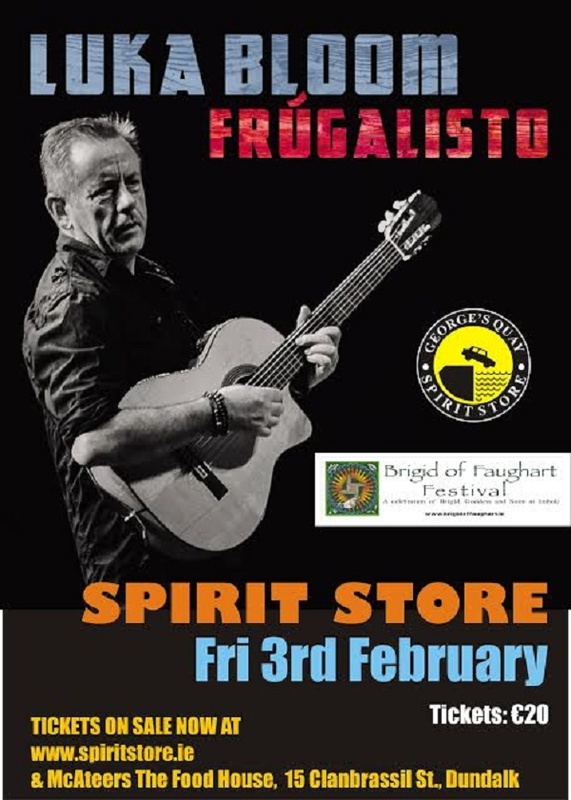 This is a testament to a real troubadour who has worked and developed over many years into a true master of live performance.The Brigid of Faughart Festival 2017 is delighted to announce Luka Bloom. Marking 10 Years of the Festival;A long time follower of Brigid, the Festival is delighted to take his show to her Birthplace – Faughart, Dundalk, Co.Louth.